Why isn't there a 'Claim CPD' button for eBooks? Do I get a certificate for reading an eBook? What is the review process for eBooks? Can I obtain a hardcopy of an eBook? Q: I want to add an eBook to my CPD Organiser. Why can't I just click a "Claim CPD" button like on other content? A: There is no "Claim CPD" button on any of our eBooks, as we are unable to tell exactly how long you've spent reading a book. Unlike video content which runs for a set amount of time, the time taken to read an eBook is difficult to calculate as we all read at different speeds. Q: I've finished reading an eBook. Can I get a certificate for this? A: Certificates are not issued for any of our eBooks, as we are unable to tell exactly how long you've spent reading a book. Q: How do I know that the content online is accurate and up-to-date? A: eBooks are updated when the publisher releases the latest version of the material. Some of our eBooks are 'anchored' in time (we have eBooks dating back to the early 2000's), as they are timeless publications. Q: I'm looking to get a hardcopy of an eBook. Can I have one sent to me? A: You can download and print any of our eBooks for your own use, however we do not offer hard-copies of these downloads ourselves. 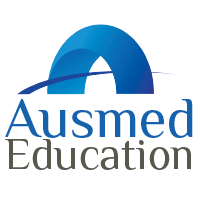 With the advancement of our subscription service, Ausmed has begun the process of moving away from traditional print-copies of books in favour of digital services such as our eBooks. As a result, our Bookshop service has stopped ordering in hardcopy books, and once our current stock is depleted it will be phased out. To find out what titles are still available in book form, check out the Bookshop page of our website. Any books purchased through the Bookshop are an additional charge not included in an Ausmed subscription.